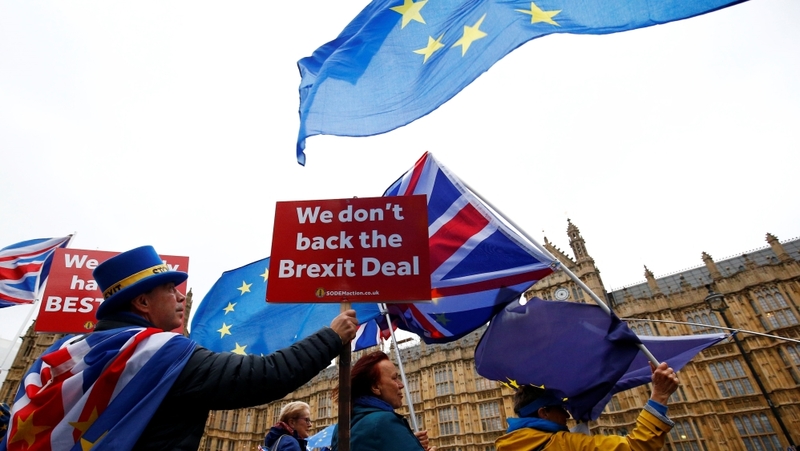 Much like the questions around the UK‘s future relationship with the European Union, the terminology thrown up by Brexit is complex, confusing and contentious. 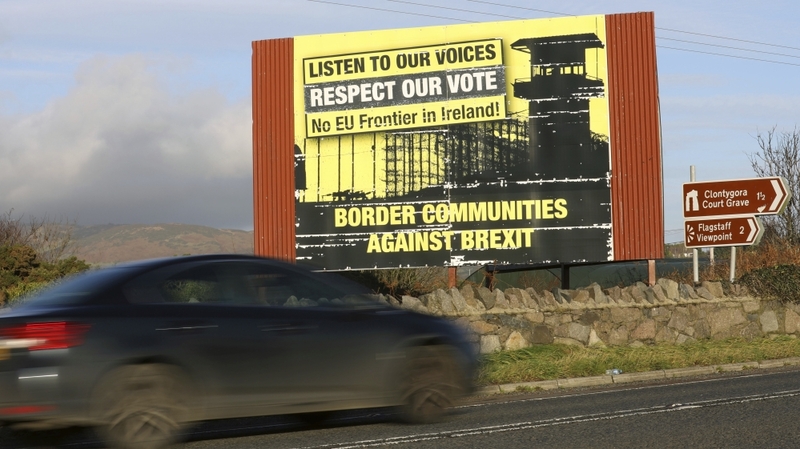 A safety net provision within the withdrawal agreement which prevents a hard border being erected between Northern Ireland, a constituent part of the UK, and the Republic of Ireland, an EU member state, if a trade deal hasn’t been agreed between the EU and the UK by the end of the transition period. Under the terms of the agreement, the whole of the UK will remain in a customs union in relation to trade in goods with the EU “unless and until” the bloc agrees there is no prospect of a return to a hard border. The term for the UK’s move to renounce its membership of the European Union following a divisive referendum in June 2016. More than 33 million voters took part in the poll, with 52 percent deciding in favour of leaving. Pursuing the so-called “Canada model” would mean the UK attempting to strike up a free-trade deal with the EU outside of the single-market model once it has left the bloc. Canada’s deal with the EU, known as the Comprehensive Economic and Trade Agreement (CETA), means it enjoys almost completely tariff-free trade in goods with the bloc. Under this model, the UK would not have to contribute to the EU budget and would not be bound by the single market’s laws, such as allowing for the free movement of people. Under the terms of the EU’s customs union, goods that have been legally imported into the bloc can circulate throughout its member states with no further customs checks and member states are forbidden from negotiating trade agreements separately from the bloc. A 28-member political and economic bloc. More than 500 million people live within EU member states, according to Eurostat, the EU’s statistical office. This raises concerns about the future of the Good Friday Peace Agreement, a peace deal signed in 1998 which helped to end the Troubles – a conflict in Northern Ireland between nationalists in favour of uniting Ireland and unionists in favour of the country remaining part of the UK. There is no strict definition of hard Brexit, but it is generally accepted to mean a version of withdrawal from the EU which would see the UK leave the bloc’s single market and customs union. A hard Brexit would also likely see the UK stop paying into the EU’s budget and end freedom of movement, a founding principle of the union which permits citizens of EU member states to live and work in any part of the bloc. Parliament’s December 11 vote on May’s proposed withdrawal agreement. Majority support will mean May can introduce a formal EU Withdrawal Agreement Bill to parliament for consideration and ratification in early 2019. Under the so-called “Norway-style compromise” approach, the UK would remain in the bloc’s single market, otherwise known as the internal market or the European Economic Area, after it has formally left the union. As such, Britain would be able to trade freely within the bloc while also striking trade deals with non-EU countries. It would also have to make financial contributions to the EU budget and accept a significant proportion of the bloc’s law, however, including the continued free movement of people, goods, services and money. The name coined by pro-remain campaigners for a possible second referendum on the UK’s EU membership. The EU’s single market covers all member states and four other countries – Iceland, Lichtenstein, Norway and Switzerland – and permits people, goods, services and money to move around freely as within a single country. Common rules and regulations are devised, implemented and adhered to by its members. There is no strict definition of soft Brexit, but it is generally accepted to mean a version of withdrawal from the EU which would see the UK remain part of the bloc’s single market and customs union, or both. A soft Brexit could also include UK concessions to aspects of the freedom of movement principle. 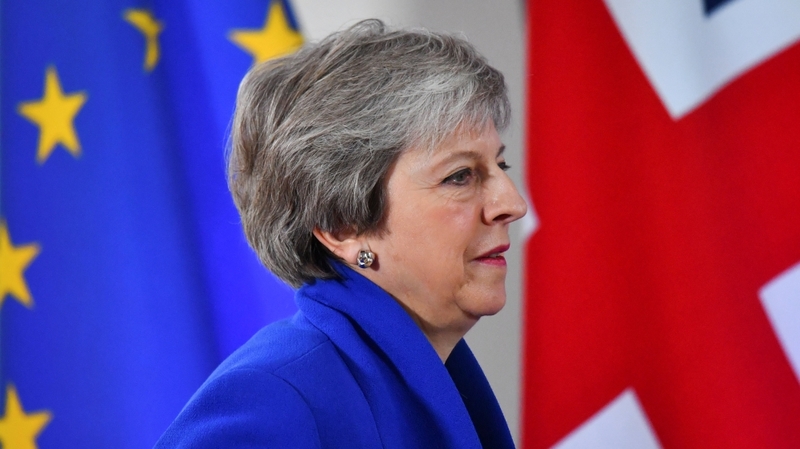 British Prime Minister Theresa May‘s brokered deal with the EU on the terms of the UK’s departure. The 585-page draft agreement includes provisions on citizens’ rights, the transition period and the so-called “backstop arrangement” concerning the Irish border, among other things.